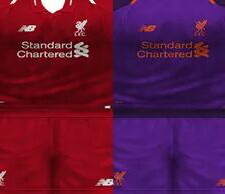 This kits created by VillaPilla kits for PES 6 update, as we know Liverpool Fc is preparing for next 2018/2019 premiere league. They just sign Allison Becker from As Roma, Saqhiri from Stoke City and many player return after loan as Sturridge and Markovic. Do you want to update liverpool team kits?